A radiant, healthy smile is worth a thousand words, expressing a variety of positive emotions at a glance. If your teeth have yellowed with age or exposure to certain elements – including coffee, tea, tobacco, red wine, and more – you may find that smiling is something you actively avoid. 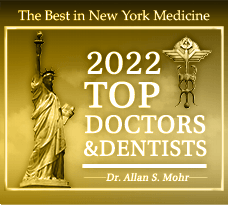 From his office conveniently located in Massapequa Park, NY, Dr. Allan S. Mohr helps patients just like you achieve a brilliantly white smile in no time at all with the KöR Whitening Deep Bleaching System™. Why Choose KöR Teeth Whitening? Used by thousands of cosmetic dentists all around the world, the KöR Whitening method is considered to be the most effective professional teeth whitening product in the industry. Unlike other professional teeth whitening treatments, the KöR Whitening System produces permanent results. Simple, at-home maintenance keeps your smile shining brightly for a lifetime. The deeply penetrating formula improves your teeth’s natural ability to absorb oxygen, removing stains quickly and efficiently. In fact, KöR Whitening is the only whitening method proven to eradicate set-in stains caused by tetracycline, a common prescription antibiotic medication. A common question we get from patients regarding teeth whitening centers around the sensitivity factor. Will it hurt my teeth? Will I experience any pain during or after the treatment? While many other types of professional and over-the-counter whitening methods are known to cause discomfort and gum irritation, KöR Whitening gel has been clinically proven to be gentle and mild, producing little to no sensitivity whatsoever. Even patients who do experience some sensitivity report feeling substantially less discomfort than with any other teeth whitening treatment. Of course, another common concern among patients pursuing whitening is that of a realistic, believable appearance – How white will my teeth actually get? Teeth that are too white appear unnatural and even fake, utterly defeating the purpose of the cosmetic treatment itself. 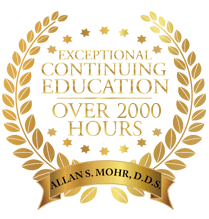 When Dr. Mohr treats his patients with KöR teeth whitening, the result is a luminescent, white smile that looks completely natural. You’ll love showing off your pearly whites to the world once again. 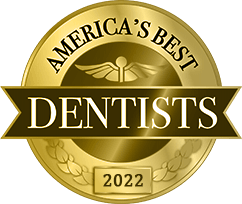 If you’ve dealt with stained, yellow teeth for too long and you’re ready to experience a beautifully white smile you can be proud of, contact our office in Massapequa Park, NY today and reserve your KöR Whitening appointment. 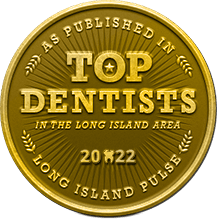 Dr. Mohr also happily welcomes patients from nearby communities in Lindenhurst, Wantagh, Long Island, Farmingdale, Seaford, and beyond. by: allanmohr at March 6, 2014 .